Have you ever been frustrated with being unable to resolve an issue or dispute with your car insurance company? Or unsatisfied with the way in which your dispute was resolved? Well, help is here in the shape of the Car Insurance Ombudsman! Although we hope that you won’t need this information, we assume that if you are reading this then you are not very happy with your insurance company and are considering filing a complaint. If so, let’s hope to it (no, I am not 90 years old) and learn more about how to file a complaint with the car insurance ombudsman. So, who is the Ombudsman? The official name is “The Office of the Ombudsman for Short-Term Insurance” and it was established in August, 1989, as a means of providing a complementary and efficient mechanism for resolution of disputes between insurance companies and their customers. The Ombudsman functions as an impartial mediator or arbitrator without representing either the consumer or the insurance companies in South Africa. This is an extremely beneficial and important service for consumers to utilize when necessary as some insurance companies aren’t always as cooperative as we would like them to be (not that they are always to blame, especially with the high rate of insurance fraud in SA). The Ombudsman Office is an independent office whose decisions are binding for the car insurance companies in South Africa. Filing a complaint with the car insurance ombudsman will cost you nothing, so read on to find out exactly how to file that complaint. Put your complaint in writing if possible. Otherwise, when lodging the complaint by phone, it is critical that you take down and keep the basic information related to your claim, such as the name of the person with whom you spoke, the date and time, details of the conversation and the conversation tracking number (not all call service centers provide this). This may be necessary at a future time. If possible, record the conversation. Keep a copy of any written documentation and correspondence between you and the insurance company and any documentation you send them – this is crucial and will prevent you from mistakenly changing the facts at a later stage, which will make you look untrustworthy. Remain calm and speak respectfully even when you do not feel your complaint is being heard or handled appropriately (this may be easier said than done, but well worth it as it will help get others on board at a later stage – the Ombudsman or perhaps a judge). Ok, so assuming you have now attempted to solve the problem with the insurance copany for the zillionth time, and yet, still no response or you are unhappy with their decision – that’s where the ombudsman comes in. Complete a complaint form from the Office of the Ombudsman for Short-Term Insurance and post (see address in the form), email ([email protected]) or fax ((011) 726-5501) it back to them. You can find more details here: http://osti.co.za/steps-to-lodge-complaint.html. When returning your complaint form, it is important to include any relevant documentation. Just in case we didn’t answer all you wanted to know, here are some common questions regarding the car insurance ombudsman and the whole process. Q. Under what circumstances will the Office of the Ombudsman for Short-Term Insurance not be of assistance to me? Personal injury or death claims as a result of a road accident. Situations that involve other people’s insurers, as opposed to your own. Situation in which litigation against the insurer has already begun. Cancellation of insurance, unless there was a claim pending prior to cancellation. General legal service – the ombudsman is not a source of free legal advice. How long does the process take? What is the process? Q.How long does the process take? What is the process? The Office of the Ombudsman for Short-Term Insurance takes your complaints seriously. As such, they will not finalize a decision until all information has been considered. Overall, claims can take from three months to over a year, depending on the complexity of the situation. While they encourage people to wait for their decision, you nevertheless still have the right to pursue legal action which will result in a quicker resolution. However, it often incurs greater cost. The Ombudsman’s office looks at your initial complaint to determine jurisdiction and then either (a) sends an application and allocates a reference number or (b) makes an informal suggestion as to what you might do to address your claim. In some cases the Ombudsman might request additional information before proceeding. Once your application is received, you will be notified in writing, as will your insurance company. Your car insurance company will be asked for a formal response to the complaint. At this point, all time limits are suspended. You are subsequently asked to comment on the insurer’s response and possibly to provide additional information or documentation. The decision stage – the Ombudsman’s office will decide your case! The rulings range from being in favor of the insurance company, to arranging a meeting between consumer and insurance company if that might facilitate a resolution, to giving a formal ruling if the situation relates to interpretation of policy or to declining to rule if there is a lack of evidence. Q. Is filing a complaint with the Ombudsman my only free option? No. You can open a claim in Small Claims Court, which will be heard by an attorney or advocate. There is a minimal cost involved, but it is important to note that the maximum amount that can be claimed through this course is R12,000 (last updated in October 2010). If you need to file a claim for a larger amount, you should consider getting advice from a lawyer (see our List of Lawyers). Q. What is the statute of limitations on filing a complaint against my insurer? That’s a slightly more complicated question. As a general rule there is a three year time limit for bringing up legal civil matters. However, you might find that your insurance contract has a time limit for these issues (usually 30, 60 or 90 days), so you’ll need to check that. As for filing a complaint with the ombudsman, that depends on your situation, since you could file a complaint with your insurance company on time but then need the help of the ombudsman later. However, it never hurts to try, so even if you think you might be outside of any time limits you have nothing to lose by filing a complaint anyway (and possibly a lot to gain)! And if your not happy with your insurance provider, why not check what other companies are offering? 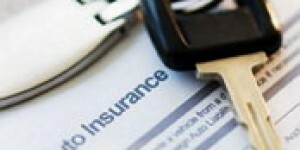 If you have a dispute or claim against your car insurance company, then the first step is to inform the insurance company, ideally in writing, but if not then at least by phone, and try to work things out with them. Only after doing this, and assuming that you are dissatisfied with the result, then you should contact The Office of the Ombudsman for the Short-Term Insurance for help. As an independent office, they can investigate your dispute further and give you another avenue to pursue your claims. While it may take slightly more time and effort on your part, as well as the addition wait for a resolution, at least you will know you have taken one more step towards trying to reach a satisfactory response. Postal Address: P O Box 32334 Braamfontein, 2017. My name is Maki,I was involved in an accident and I reported the accident to my insurance company and I was asked to submit documents to that effect,which I did.an assessor was sent and he said my car is a complete write off(which is a prerequisite)for my car insurance cover,I was informed by my insurance that they received the assessors report and they will be intouch.they then told me they will send an investigator,who came and investugated .they asked for further documentation which was a medical report and service book,which I sent and now they are mum.my financer has debited twice already and we heading for the third month now and I have not received any outcome concerning my claim. Maki – it seems like you have a case but you will have to contact the Ombudsman. We are not the Ombudsman.